Originally released in 2002 (and out of print for over 10 years), Touch and Go will reissue Italian Platinum on limited edition red vinyl on April 12, 2019. 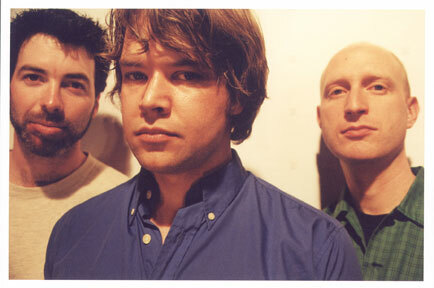 Founded in 1987, Silkworm were: Andy Cohen (also in Bottomless Pit, and Mint Mile) on various stringed instruments with frets, Michael Dahlquist on drums and cymbals and occasional guitar, and Tim Midgett (also in Bottomless Pit, and Mint Mile) on bass and other guitars. Bullheaded, crossbeam-chomping persistence: fourteen years, nine full lengths, many singles and EP's, innumerable tours, wild fluctuations in the public appetite for their work. That's not to demand that Silkworm be called forward for some sort of alt-culture valor award-- their concentrated, seemingly effortless forces arises from dogged pursuit of certain values that most current bands either don't care about or fudge in the studio environment, namely: tightness, heaviness, instrumental command. Silkworm do care, and don't/won't fudge.